Today’s digitally connected business environment requires 24/7 uptime. Without it the search engines, social media, online retailers, banks and software companies that form the backbone of the internet wouldn’t be able to keep up with the demands of modern customers. 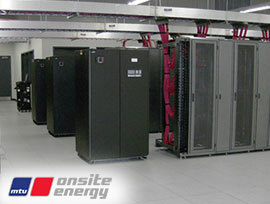 That makes backup power for data centers critical to prevent complete power failures or brief outages, which can both cause costly disruptions to service. Pacific Power Group’s power generation team is an experienced emergency power generation system provider for many of the major data centers and critical facilities in Oregon, Washington, Alaska and Hawaii. Whether your facility requires a new backup power system, a custom engineered package or a proactive preventative maintenance plan for any major generator brand, our team can work closely with you to provide a solution.